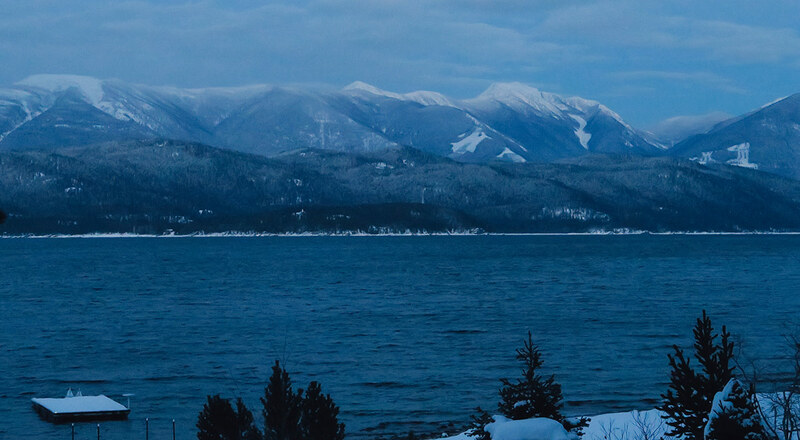 Nelson, British Columbia, a southeastern mountain town that has an allure and calling for all backcountry snow adventurers. Kelso and I heard that calling in mid-February 2019, in search of powder boarding and snowmobiling. 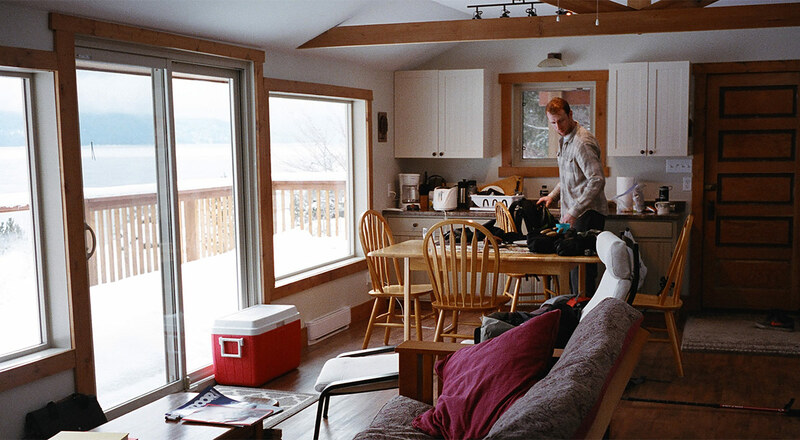 We made the nine hour drive up from Portland for a five night stay at a nicely remodeled lakeside cabin, located thirty minutes outside of town. 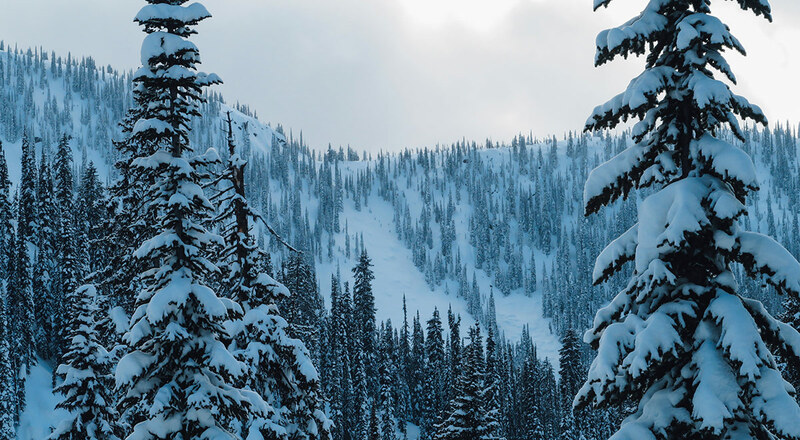 Our trip planning rested on high hopes for sled laps, pillow lines and BC powder (pretty mellow expectations, right?). Well, Nelson delivered for the most part. 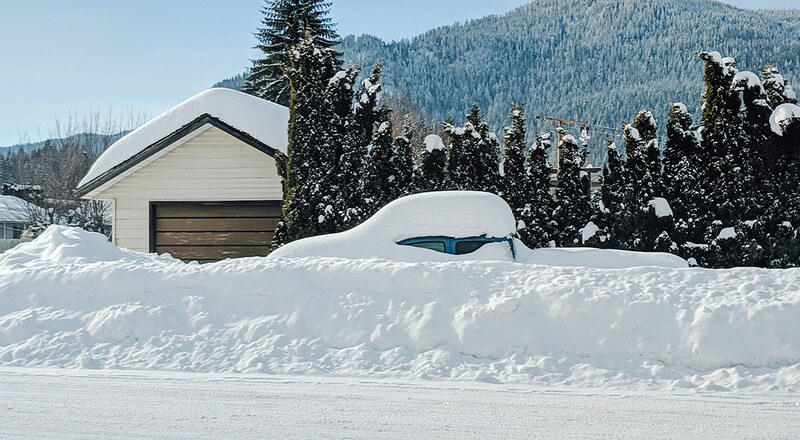 In true snowmobile vacation fashion, we received a healthy dose of the unexpected, making for an interesting and memorable boarding trip. 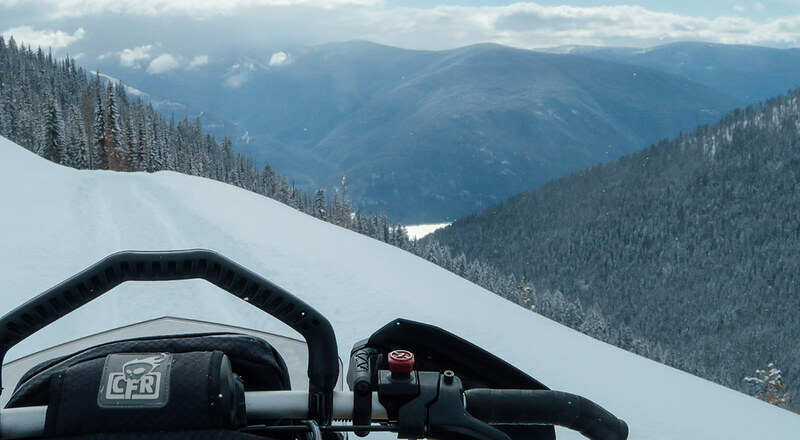 We quickly learned that Nelson is not an easy destination for snowmobilers and boarders to navigate due to a severe lack of online information. So in this post, I’m not going to provide much detail because that wouldn’t fit with the Nelson mantra. 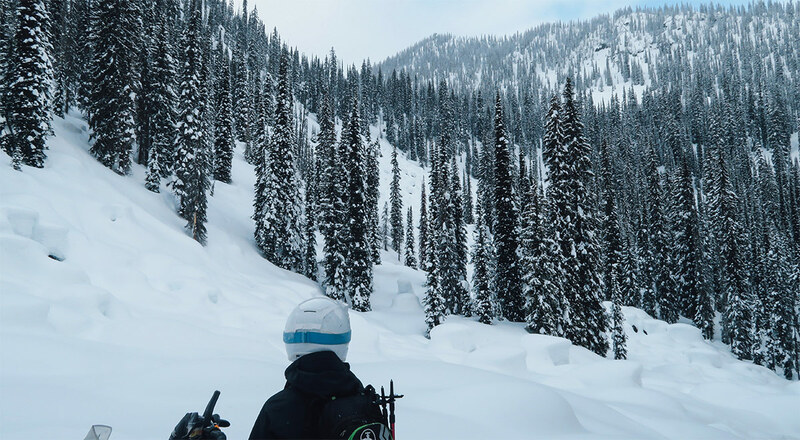 The local knowledge we gained was hard earned; knocking on doors at the sled shop, chatting with other sledders who had ski gear, Q&A at the local board shops, and so on. 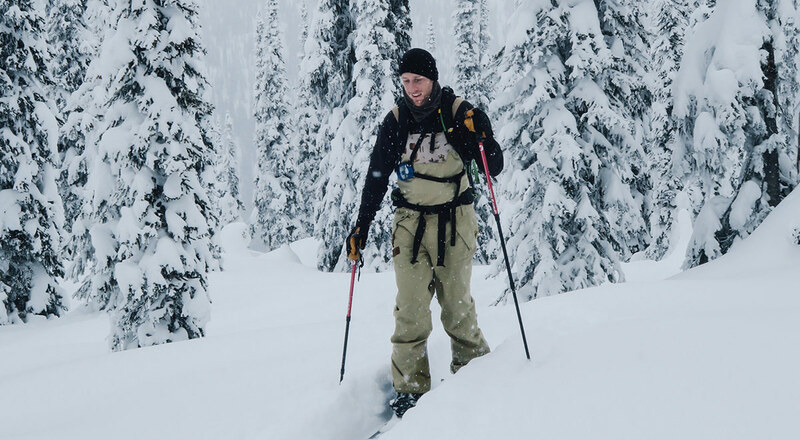 It was a bit of a puzzle to figure out the right trailheads and access to lines in the Nelson backcountry. 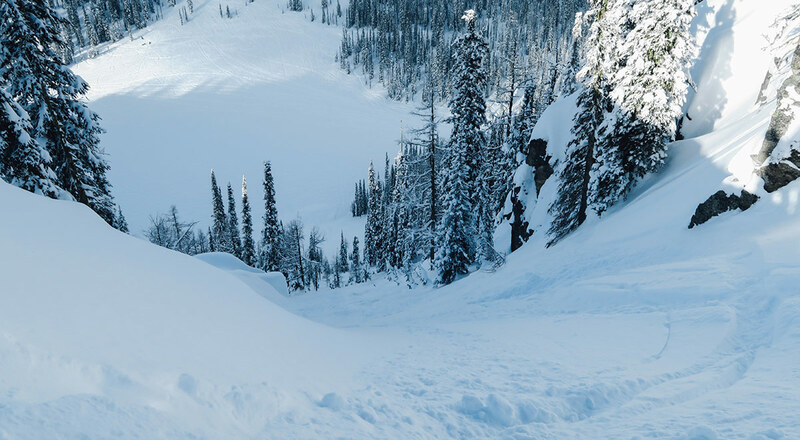 The Nelson riding is primarily sled accessed splitboarding. Don’t count on finding sled laps but they do exist. The sled access to touring is good, once you hit the right trailhead. The Nelson backcountry has many access points, so don’t be alarmed if the trailhead only has a few vehicles and yet, very little parking. 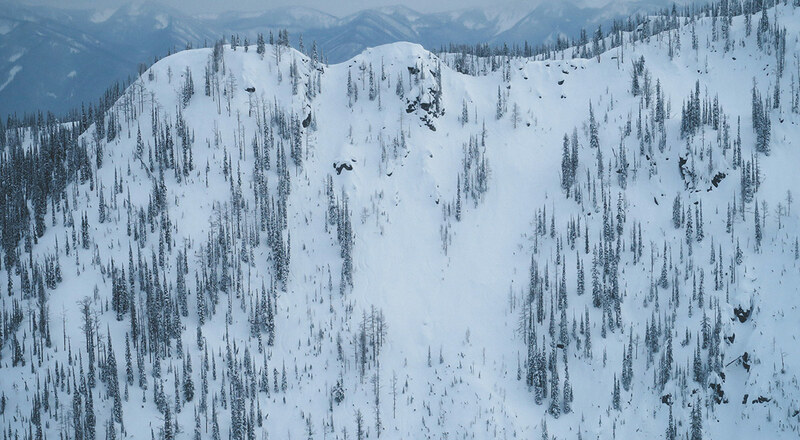 This also means riders are spread out and there are fresh tracks for many days after a storm. If Kelso and I scored in one aspect over others, it would be snow quality. We showed up right after a refresh that was the perfect BC, thick, low density snow that makes a long drive worthwhile. The cold temps maintain the snow quality there really well. All days we rode it was grade A powder conditions. 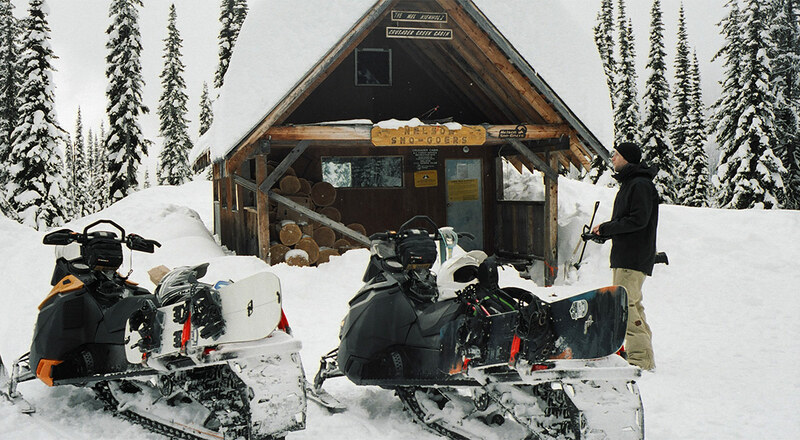 After a rocky start to the trip where the sleds got worked while the snowboards sat patiently strapped in their racks, we slowly learned the right zones and access points to lines. By day three, we landed ourselves a lunker of a backcountry day. Four runs total, two short, two long, exiting at sunset. 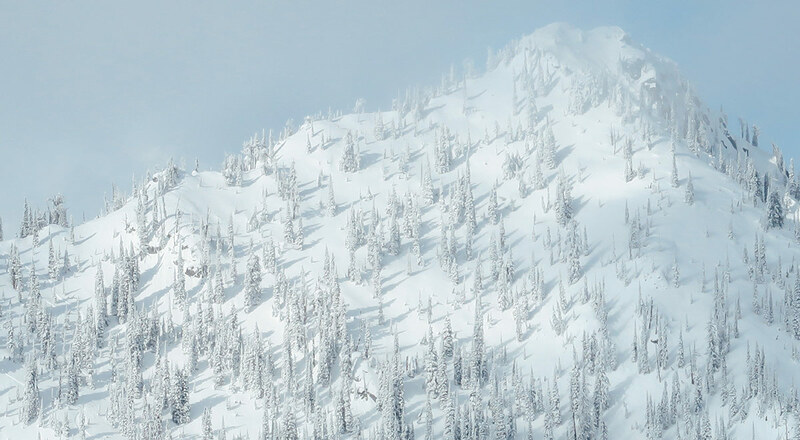 We cashed in our chips, all in, for some unforgettable turns down steep, stable BC terrain. 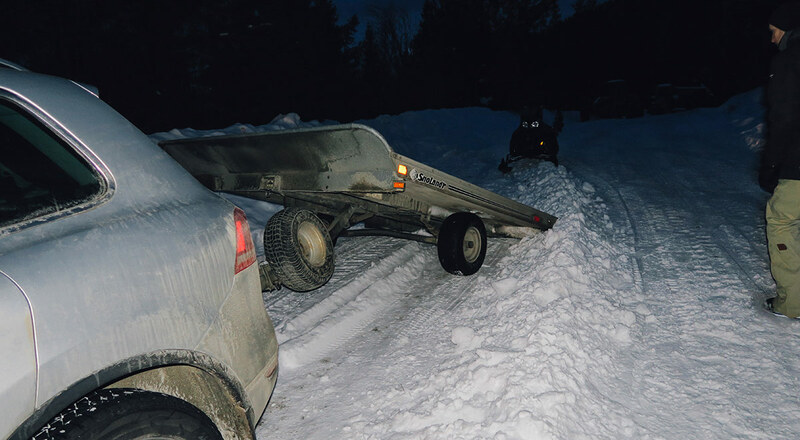 Coming out in the dark, we returned to a trailer that had been damaged by the plow, showing obvious signs of disrespect to the foreign license plate on our tow vehicle. Riding our high from the big day, we made it back to the cabin in good spirits for a warm dinner. We also managed to squeeze out one more riding day with the damaged trailer. Nelson provided us with a lot of hurdles and surprises but also showed us the goods. No complaints coming from the Big Flakes crew, the juice was worth the squeeze.